Olivia is a Junior at UMBC with a pursuit in Graphic Design. Her Interests are illustration and bookmaking and she hopes to one day combine those loves into a graphic novel of epic proportions. 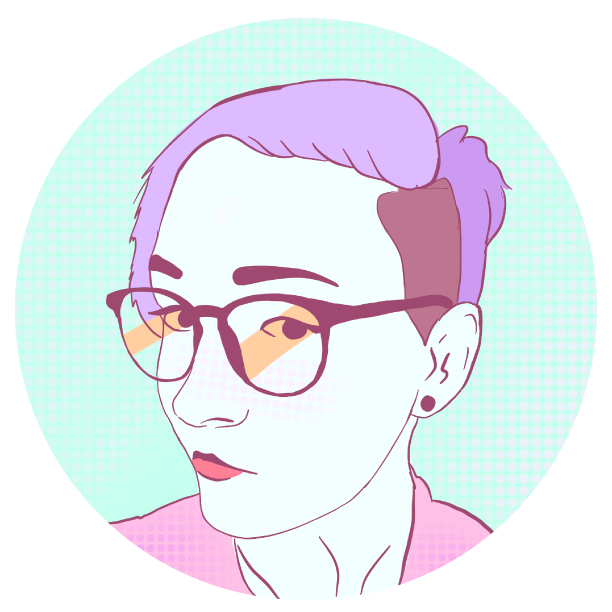 She spends the most of her free time drawing portraits, writing horror mysteries, and listening to audio podcasts of web personalities and old time radio. She has 3 cats Tigger, Nutmeg, Apples, and a puppy named Honey. (All dogs are puppies, no exceptions) Her other hobbies include lets-play watching, learning American Sign Language, and singing when she thinks no one is listening.